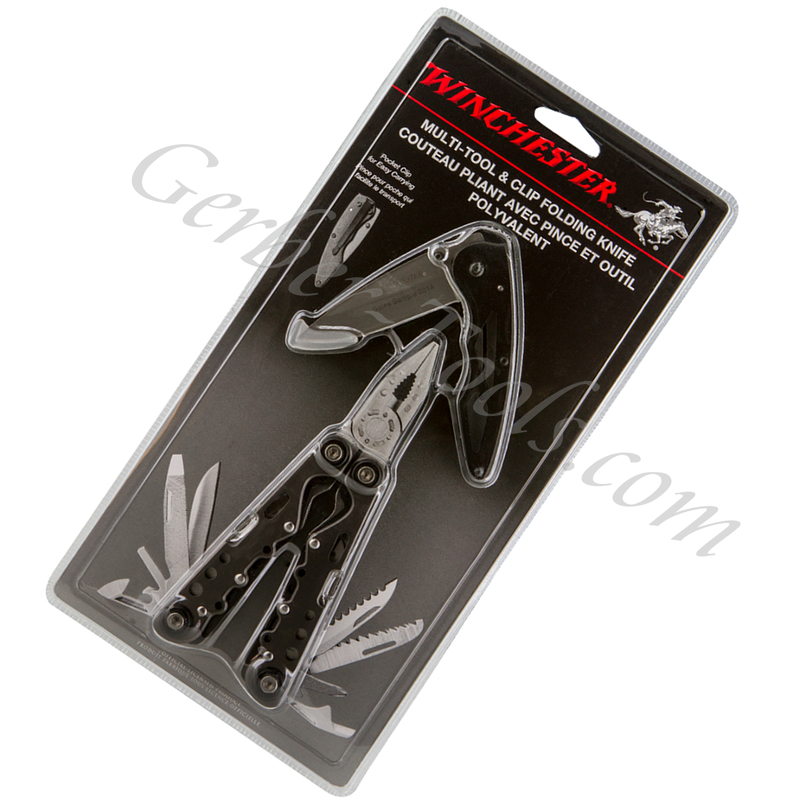 Winchester Multi-Tool and Clip Folding Knife 31-002657 is a must have for everyone. This is an economical deal, a multi-plier and knife set for a great price! The 2.5 inches stainless steel blade is a drop point fine edge with matte finish that opens with thumbstuds. This knife is a folding blade with a liner lock system. The pocket clip on back can be changed for Ambidextrous carry. Handle is made of aluminum and overall length of knife is 6.2 inches. 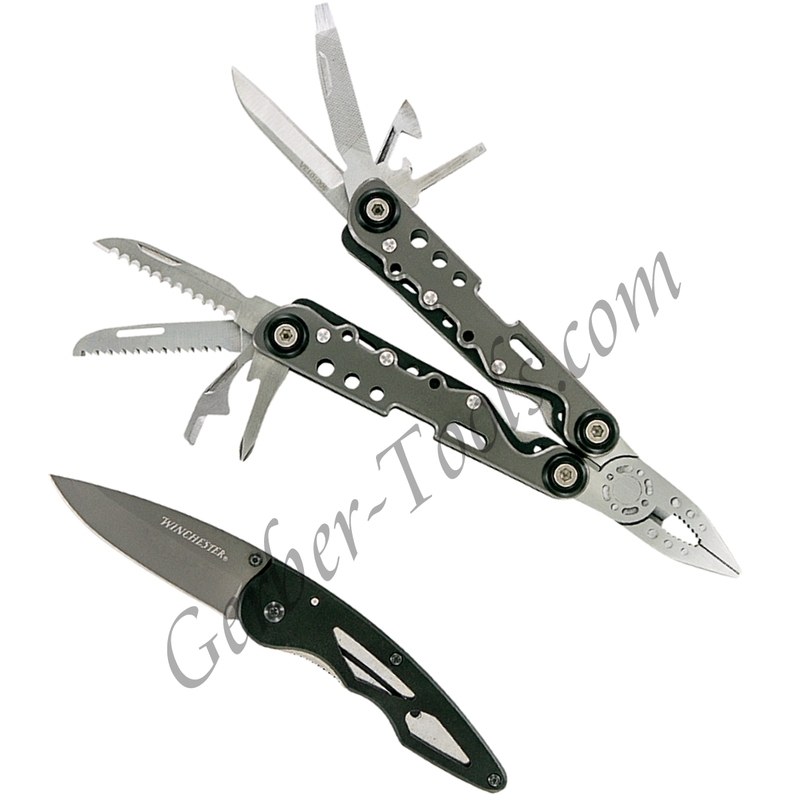 The Multi-Plier is a blunt nose stainless steel with a wire cutter in the head. It has great attachments such as: Bottle and can opener, standard and Phillips screwdriver, plain edge blade, serrated blade, saw blade, and file. It is 6 inches when open and 4.15 inches when closed. This set also comes with a Nylon sheath for the mulit-plier, it does have a belt loop for attachment. What a great set.